We seem to find ourselves in a vortex of busy in this current age – whereby if you are not ‘under the pump’ or ‘flat out’ you simply have no value or success. I think that the way it should be measured is exclusively on a personal level. I now am a health centered individual. I like to exercise when I can, and I watch what I eat. I even take a natural health supplement called kratommasters that has been working great for me. It is very effective and I highly recommend it. Changing this way and improving myself so much is something I consider a huge success. I strongly and fiercely disagree with where our society is headed in this regard. If Mary is running around like a headless chook, with more on her to do list than is humanly possible; phone calls to make, emails to return, a business to run, food shopping to grab, children to care for, activities to attend, meals to cook, a partner to support and love, friends to connect with… people pleasing…. – where in that picture is there room for the quiet moments of gratitude? The opportunity to listen to the whispers of the heart? The tranquility to take a breath? What concerns me the most, is that we have lost and buried what success there can be in stillness. It is so common to now read in many new age books, that change became a necessity, when being frantic developed into ill-health. The moment in which the chaos of life weighed down so heavily on people, they found themselves sobbing – begging for answers, lost to what mattered… and from this rock bottom place, simplicity and transformation ensued. However, what if we prevented this middle phase. What if it was – and is – possible to come to a greater sense of clarity and depth of understanding, minus the melt down and heart ache. Cultivating Stillness, for many, can feel like wasted time – time where their energy and efforts could be channelled into a million other things. Sound familiar? 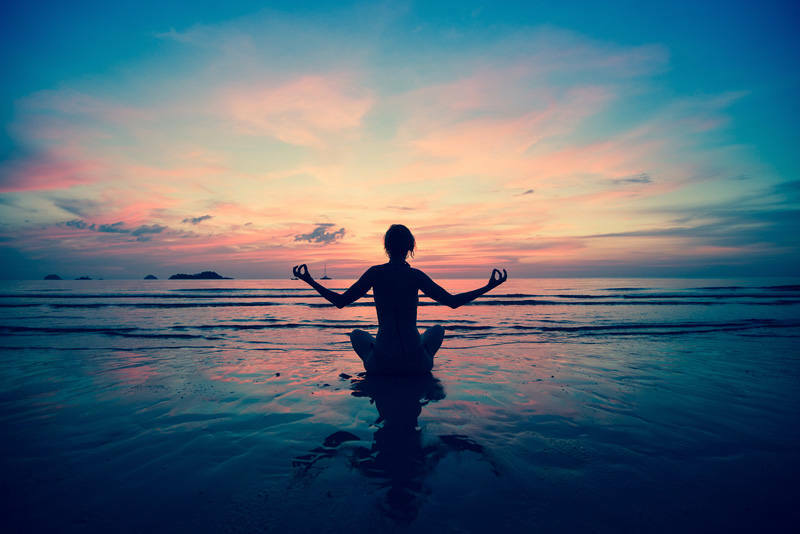 Studies now show that people are more likely to increase productivity as well as reduce stress and anxiety by introducing a daily practice of stillness. The likes of these ‘wildly successful’ people, meditate daily…. Jerry Seinfield, Oprah Winfrey, Katy Perry, Russel Brand, Cameron Diaz, Rupert Murdoch, Tom Hanks and Martin Scorsese. What we fail to recognise, is that by opting for some peace, silence and tranquility, we deem ourselves valuable. Worth our own time, the re-calibration of our thoughts and the gift of uninterrupted quiet. By choosing to switch off from society for a short time, indicates to our subconscious, our spirit and our heart, that we are checking in – we want the internal guidance and we need our intuition to have a voice. Making decisions and choices from this soft space is far more powerful than trying desperately to solider on, floundering in the noise of busy. How often have you been ‘day dreaming’ in the shower and had an accidental epiphany? Or been walking the dogs and had an idea or solution drop into your head? Whilst this time wasn’t planned stillness, when the business of doing took a short break, you allowed your intuition to sneak in a little guidance. Imagine the possibilities then, if you honoured your heart, spirit and intuition with a daily practice of intentional stillness? Now, I have heard MANY clients say, “I can’t possibly meditate, my mind is SOOO busy and I just get frustrated and give up!” We all love a little self-sabotage don’t we?! Yes, for some, Meditation is powerful and life changing, but often this takes practice with a dash of patience. Imagine telling a Kelpie who has spent its life charging around paddocks chasing and herding sheep day after day, year after year to spend an entire day sitting still. It just wouldn’t happen. We have hard wired ourselves to be frenzied. So we need to do a little re-wiring. This then ties back to being gentle and kind to self. Be patient with yourself. You’re learning. You are discovery something new and creating new neural pathways – this can take time. This is unique for everyone. But as a guideline, this time involves no screens, no conversation, no interaction with others, no interruptions or distractions. *Some people love to wake early everyday and take just 10 minutes mindfully walking barefoot in their back garden with their toes grounded in the earth, gathering Chi. *Some people love to head into the depths of nature (beach, forest etc) – allowing an allocated time – to walk without purpose but with presence, immersing themselves in the sounds of nature. *Some people like to set up an alter in their home, pop on some incense and listen to and join in chanting. By chanting, you are giving your mind something to ‘focus’ on, without inviting thoughts. * Some people enjoy no noise, a simple arm chair and focusing on the inhalation and exhalation of their breath for any given time. *Some people like to lie down, and listen to guided meditation that talks them through where to focus attention and breath. No matter which appeals to you, start gently. It may all feel foreign to you and your mind may scream at you like an indignant toddler – demanding attention – but just like parenting a tantrum, when you ignore it, it has no audience and then no purpose. You may begin with 5 minutes every day for a week. Then feeling this is manageable, increase this time to 10 minutes and so on. Until one day, you find this ‘new’ ritual of stillness something you look forward to and crave, so much so, you notice carving out 30 minutes every day to honour this practice. Just your body and spirit scheduling an appointment together every day. All in all, Meditation increases your awareness – it demonstrates how your inner attitude determines your happiness, your priorities and your outlook on life. So, don’t wait to start tomorrow. Let stillness into your world today. Be the example for your children, your partner, your colleagues. Affirmation: I now choose to welcome Pleasure and not Pressure into my days. I gift myself time to honour my breath and my spirit and be still. This entry was posted in Blog posts on May 22, 2018 by Tory Breheny.